svargam generally means heavenly planets of dhEvas. indhra's planet is known as svargam. svargam is filled with many enjoyable aspects which are not to be found in this earth. But to pursue the path to svargam, one has to perform many austerities (thapasyA). samsAram, in this context refers to earthly life which is a result of ones own karmA. These are usually considered as obstacles for thapasyA. 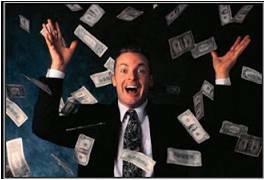 Ones own body, bodily relatives (such as wife, children, etc), properties (such as land, wealth, etc) are hurdles for austerity and thus should be given up. Translator's note: "jyOthishtOmEna svarga kAmO yajEtha" can be remembered which highlights that ones who desire svargam need to perform jyOthishtOmam - a type of hOma/yAga which requires great austerity. Similar to previous point. For the one who is desirous to enjoy the pleasures in heavenly abode, the dealings/pleasures in this world are obstacles. If there is too much attachment towards earthly pleasures, that will limit the pursuing of heavenly abodes. Translator's note: A question may arise here - Why is the mention about svargAnubhavam here? How does it relate to prapannas? It is to be understood that this is just shown to explain the progressive state of the various obstacles - right from the basic desire for looking for heavenly pleasures to the ultimate pleasure of being fully serving bhAgavathas. 3. AthmAnubhavaththukku svargAnubhavam virOdhi (ஆத்மானுபவத்துக்கு ஸ்வர்க்கானுபவம் விரோதி) - heavenly pleasure is an obstacle for enjoying ones own AthmA. 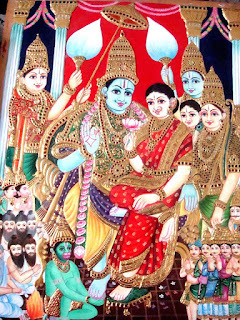 AthmAnubhavam is a type of mOksham called kaivalyam. kaivalyam means reaching srIvaikuNtam after crossing virajA river, completely being relieved of material body and fully being engaged in enjoying the self (jIvAthmA). Since there is no re-birth in samsAram (leelA vibhUthi - material world), this is also considered as a type of mOksham. The pleasures in svargam will last only until there is virtues (pious karmA). Once the virtues are exhausted, one has to return back to the earthly planets to continue the vicious journey in samsAram as explained in "kshINE puNyE marthyalOkam visanthi". 4. AthmAnubhavakAmanukku svargam virOdhi (ஆத்மானுபவகாமனுக்கு ஸ்வர்க்கம் விரோதி) - for the one who is desiring to enjoy oneself the desire to heavenly abodes is an obstacle. Please refer to previous point's explanation. bhagavath anubhavam means enjoying bhagavAn with his auspicious qualities, beautiful forms, ubhaya vibhUthi aishwaryam (ability to control the two worlds) - nithya vibhUthi (spiritual world) and leelA vibhUthi (material world), etc. Such joyful experience will lead to prIthi (devotion, love, attachment) towards him. Such attachment which was derived by the joyful experience will lead to kainkaryam (service) to bhagavAn. Such loving service will again lead to eternal bliss. Such bliss in paramapadham (srI vaikuNtam) is called unlimited blissful mOksham. Though enjoying ones own self is blissful, in comparison with bhagavath anubhavam, it is very insignificant. Thus, such desire to enjoy oneself is an obstacle for bhagavath anubhavam. Translator's note: jIvAthmA is naturally gyAnamayam (filled with knowledge) and Anandhamayam (filled with bliss). So, enjoying AthmA may look like an interesting prospect, yet it is very insignificant as the AthmA itself is aNu svarUpam (atomic in nature). But bhagavAn is vibhu (great and all pervading) and his gyAnam and Anandham are unlimited in comparison to the very limited gyAnam and Anandham of AthmA. 6. bhagavath anubhava kAmanukku AthmAnubhava ichchai virOdhi (பகவத் அனுபவ காமனுக்கு ஆத்மானுபவ இச்சை விரோதி) - for the ones who is desiring bhagavath anubhavam, enjoying oneself is an obstacle. 7. guNanishtanukku guNi virOdhi (குணநிஷ்டனுக்கு குணி விரோதி) - for the ones focussed on the auspicious qualities of bhagavAn, bhagavath svarUpam is an obstacle. guNanishtan - as said in "sadhA paraguNAvishta:", the one who is constantly enjoying the auspicious qualities of emperumAn. pramANams from sruthi like "sOsnuththE" reveals that jIvAthmA enjoys the supreme lord (brahmam) along with his auspicious qualities. This also includes experiencing the divine forms of bhagavAn. "rasOvai sa:" means he is sweetness personified. 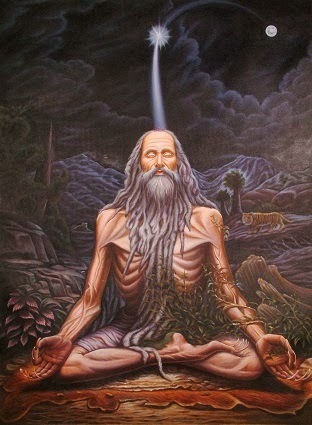 By experiencing this the mukthAthmA (liberated soul) acquires get bliss. emperumAn's reveals his auspicious qualities through his many divine activities. Through thiruviruththam 98th pAsuram "nenjAl ninaipparithAl - veNNeyUNennum Irach chollE" (நெஞ்சால் நினைப்பரிதால் - வெண்ணெயூணென்னும் ஈரச் சொல்லே) , thiruvAimozhi 1.3.1 pAsuram "eththiRam! uralinOdu iNainthirunthEngiya eLivE" (எத்திறம்! உரலினோடு இணைந்திருந்தேங்கிய எளிவே), etc., we understand nammAzhwAr's experience of bhagavAn's guNams. This is explained in periya thiruvanthAdhi 86 as "chIr kalantha chol" (சீர் கலந்த சொல் - words drenched with bhagavAn's auspicious qualities). 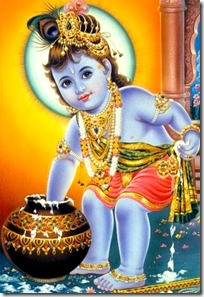 guNi means bhagavAn's divine svarUpam (i.e., the one who has the guNam is called guNi). This bhagavath svarUpam is most difficult to understand even for great yOgis. Thus focussing on bhagavath svarUpam will be an obstacle to experience and enjoy bhagavath guNams. This is similar to the next point. 8. kainkaryanishtanukku bhagavath saundharyam virOdhi (கைங்கர்யநிஷ்டனுக்கு பகவத் ஸௌந்தர்யம் விரோதி) - for the ones who are focussed on serving emperumAn, emperumAn's beauty is an obstacle. 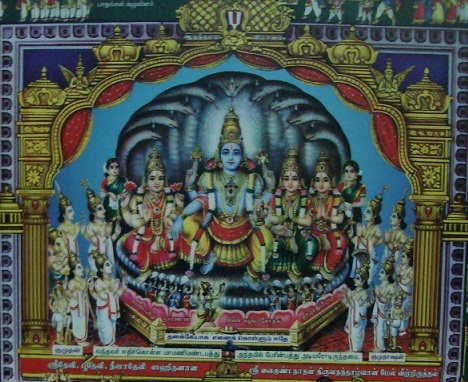 kainkaryanishtar - Like iLayaperumAL (lakshmaNa) who said "aham sarvam karishyAmi" (அஹம் ஸர்வம் கரிஷ்யாமி - I will do everything for you), one who is fully focussed on bhagavAn at all times in all possible ways. Once we start experiencing his divine beauty, our vision and mind will become fixated on him and will become totally stunned. This will affect our service to emperumAn. 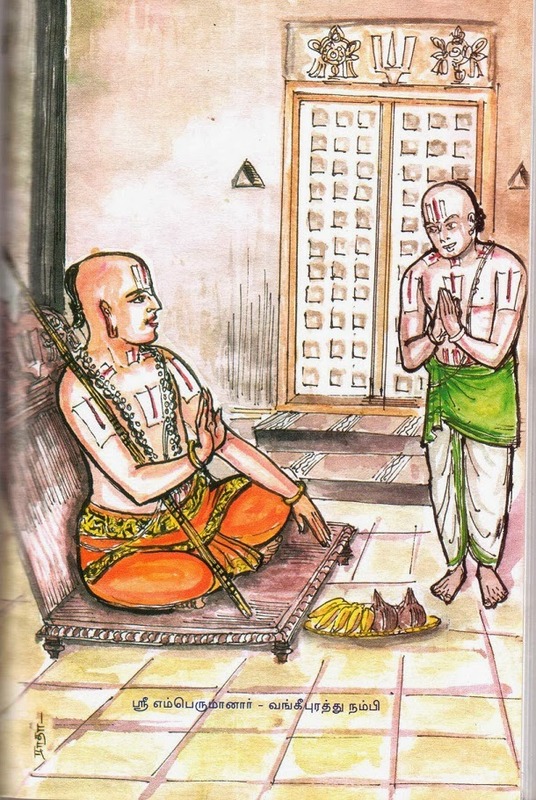 This is why piLLai lOkAchAryar highlighted in mumukshuppadi sUthram 187 "saundharyam antharAyam" (ஸௌந்தர்யம் அந்தராயம்) - bhagavAn's beauty is an obstacle. The natural position is - bhagavAn being the master and jIvAthmA being a servitor. By experiencing bhagavAn's qualities, jIvAthmA develops attachment towards bhagavAn and subsequently develops the desire to serve such glorious emperumAn. This fits the nature of jIvAthmA which is sEshathvam (being secondary/servitor). This is desirable too. Once the focus shifts to the divine beauty of emperumAn that will hinder the kainkaryam to be done. Thus, for the ones focussed on kainkaryam bhagavAn's beauty is an obstacle. 9. bhAgavatha kainkarya nishtanukku bhagavath kainkaryam virOdhi (பாகவத கைங்கர்ய நிஷ்டனுக்கு பகவத் கைங்கர்யம் விரோதி) - for the ones who are focussed in serving bhAgavathas (devotees) bhagavath kainkaryam (service to bhagavAn) is an obstacle. jIvAthmA's natural state is bhagavath dhAsyathvam (to be a servitor of bhagavAn) and to be fully at the disposal of emperumAn. Even more important - svarUpa yAthAthmyam (essence of true nature) - bhAgavatha sEshathvam (to be a servitor of bhAgavathas). 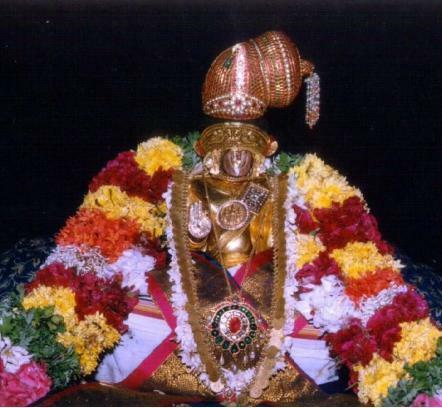 In periya thirumozhi 8.10.3, thirumangai AzhwAr announced the essence of thirumanthram (ashtAkshari) to emperumAn himself as "nin thiruvettezhuththum kaRRu nAn uRRathum unnadiyArkkadimai kaNNapuraththuRaiyammAnE" (நின் திருவெட்டெழுத்தும் கற்று நான் உற்றதும் உன்னடியார்க்கடிமை கண்ணபுரத்துறையம்மானே - Dear lord of thirukkaNNapuram! After learning the essence of thirumanthram I understood that I am a servitor of your devotees). thirumazhisai AzhwAr highlights in nAnmugan thiruvanthAdhi 18th pAsuram "EththiyiruppArai vellumE maRRavaraich chAththiyiruppAr thavam" (ஏத்தியிருப்பாரை வெல்லுமே மற்றவரைச் சாத்தியிருப்பார் தவம் - the devotion towards devotees is greater than devotion to bhagavAn himself). 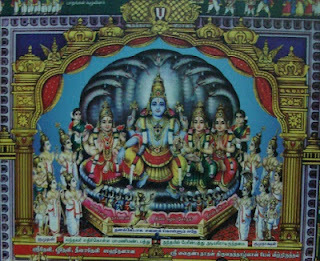 Eththiyiruppavar - bhagavath sEsha bhUthar - one who is surrendered to bhagavAn. The state of those who are surrendered to such devotees is much greater. In srI rAmAyaNam, lakshmaNan and bharathan were fully surrendered to srI rAma. 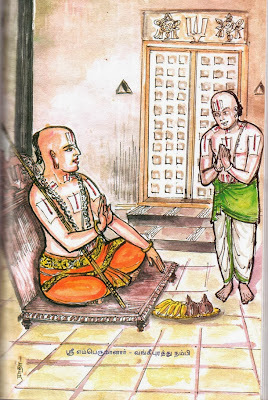 shathrugnAzhwAn had bharathan as everything for him. It is said in srI rAmAyaNam that "chathrugnO nithyachathrugna:" (சத்ருக்நோ நித்யசத்ருக்ந: - one who has conquered the eternal obstacle). Our pUrvAchAryas have explained that "shathrugnAzhwAn conquered/ignored srI rAma's beauty and auspicious qualities and was fully serving bharathan". In thiruvAimozhi 8.10.3, nammAzhwAr says "avanadiyAr siRumAmanisarAy ennaiyANdAr" (அவனடியார் சிறுமாமனிசராய் என்னையாண்டார்). siRumAmanisar - ones who are fully surrendered to emperumAn, who are small in size but great in knowledge and practice. nammAzhwAr declares such devotees are his masters. When such devotees exist how can one ignore them and serve the lotus feet of emperumAn? For the true nature of jIvAthmA, bhAgavatha kainkaryam is more apt than bhagavath kainkaryam. 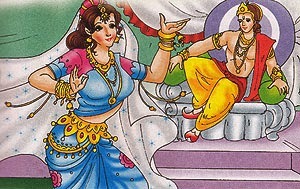 Thus, bhagavath kainkaryam is an obstacle for bhAgavatha kainkaryam. Adiyen ramanujadasan arulalan dhandan samarppanam swami ,anega koti ...dhanyosmi virodhi parihaarangal miga thelivaagavum ,vipulamaagavum vivarthulleergal.no match for your efforts.Thanks a lot.